It is my extreme pleasure to introduce you to The Baby Nurse Bible by Carole Kramer Arsenault, RN. Chock full of Baby Nurse tips and expert advise on preparing your home for baby, successful breastfeeding, setting up flexible daily routines, infant development for the first three months, and more; The Baby Nurse Bible is a valuable resource for new parents and old alike. It is Carole’s opinion, as well as mine, that there is no better vantage than that of a nurse. Who spends day in and day out repeating the same care-giving tasks over and over with baby after baby? The Nurse! The book is broken down into 4 sections: Getting Ready; Labor, Delivery, and the Postpartum Period; Breastfeeding Your Baby; and The Fourth Trimester (When you bring baby home). I love that there is a whole section just on breastfeeding. If you have a question or concern about your pregnancy or baby, The Baby Nurse Bible is a must-have book. My sister-in-law is pregnant right now. What do you think I am giving her? You got it The Baby Nurse Bible. Check out Carole’s blog. They are giving away a book a week. Giveaway will end on April 25, 2011 at 11:59 pm EST. Open to US and Canada only. Please make sure your email address is public on your profile or leave with your comments so I can contact you should you win. The winner will be chosen by random.org and announced here as well as emailed and will have 48 hours to respond or a new winner will be chosen. I received no monetary compensation for this review but was supplied this product free of charge; however, all opinions are my own. 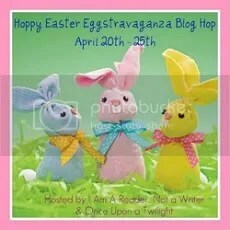 Next articleiCaughtTheEasterBunny.com Giveaway 5 Winners! !